During the week of January 31-February 6, CatholicTV will host students from six different Catholic schools in honor of Catholic Schools Week. During Catholic Schools Week, Catholic school and homeschooled students of many different ages will attend the live daily Mass at the CatholicTV studios and will serve as lectors and altar servers. In past years, students have made brief appearances on the live CatholicTV talk show “This is the Day” during Catholic Schools Week. On January 26th, Sr. Janet Eisner, SND, President of Emmanuel College, (a Catholic college in Boston) will be interviewed live on “This is the Day” at 10:30AM ET. Sister Janet will be joined by students from the school. 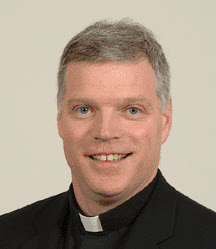 On that same day, Father Stephen Boyle, Emmanuel’s Chaplain will preside at the televised daily Mass. Catholic Schools Week is a joint project of the National Catholic Educational Association (NCEA) and the United States Conference of Catholic Bishops (USCCB). 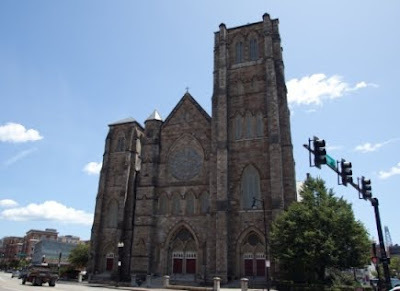 We will be at the Diaconate Ordination for the transitional diaconate tomorrow at 10am at the Cathedral of the Holy Cross in Boston. Daniel Moloney, Guy Sciacca and Gregory Vozzo will be ordained. During the week February 1st, “The Commons”, a Catholic music show which airs on CatholicTV, will feature musician Sarah Hart. Sarah will sing the song “Renew” during the show. “The Commons”, is a coffee house-styled music show which includes performances by Catholic musicians such as Matt Maher, Sarah Hart, and others. The show also includes interviews of the musicians in which viewers can get a glimpse into the lives and spirituality of the musicians. Sarah Hart is currently a staff songwriter for EMI-CMG Music in Nashville, TN and spiritandsong.com in Portland, OR. Her songs have been recorded by numerous artists such as: Robbie Seay, Matt Maher, 33 Miles, This Beautiful Republic, Sarah Reeves and Jaime Jamgochian. Her music has been featured in the television shows “Joan of Arcadia” and “Strong Medicine”, and the film “Coyote County Loser”. 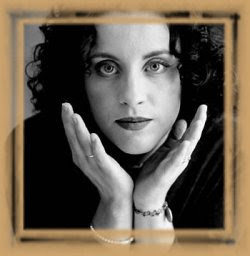 Sarah’s songs can be found in print in almost every Catholic church in the U.S. Sarah has also penned music for two musicals, and works as a songwriter and voiceover artist with the Tom Tichenor Children’s Theater in Nashville, TN. 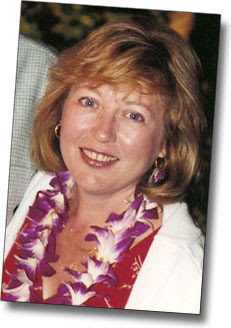 She is the recipient of six Unity awards for her work. On January, 31st, CatholicTV will air the Mass of Thanksgiving honoring the recent canonization of St. Damien of Molokai, a priest known for working with lepers in Hawaii. This Mass will take place at The Basilica of the National Shrine of the Immaculate Conception in Washington, D.C. This Mass will air on CatholicTV and CatholicTV.com at 3:30PM (Eastern) on January 31st, and will rebroadcast at noon the following day. 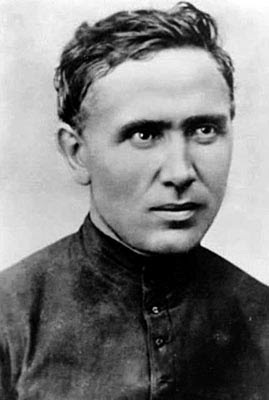 St. Damien was a Catholic priest from Belgium and member of the Congregation of the Sacred Hearts of Jesus and Mary, a missionary religious order. He won recognition for his ministry to people with leprosy (known as Hansen's disease), who had been placed under a government-sanctioned medical quarantine on the island of Molokai in the Kingdom of Hawaii. After sixteen years caring for the physical, spiritual and emotional needs of those in the leper colony, he eventually contracted and died of the disease, and is widely considered a "martyr of charity". He is the ninth person recognized as a saint by the Catholic Church to have lived, worked, and died in what is now the United States. On Monday, January 25, CatholicTV will air the Celebration of Vespers presided over by Pope Benedict XVI from the Basilica of Saint Paul Outside the Walls in Rome. This Vespers service will air on CatholicTV cable outlets and on CatholicTV.com at 8PM and will be rebroadcast at noon the following day (all times Eastern). This Vespers service takes place at the conclusion of the Week of Prayer for Christian Unity. Each year the Pontifical Council for Promoting Christian Unity and the Commission on Faith and Order of the World Council of Churches chooses a theme for the Week of Prayer for Christian Unity. This year, 2010, the theme is based on the biblical verse of Luke 24:48: You Are Witnesses of These Things. Honoring the Week of Prayer takes place between the feasts of Saints Peter and Paul. The week gives Christians an annual opportunity to continue to work towards unity which is already shared in Christ. It is also a time to gather in praise of the Triune God and to deepen the understanding of the ecumenical movement. The proceeds of the Collection for the Church in Latin America are distributed to dioceses, parishes and other Catholic institutions throughout Latin America and the Caribbean to provide assistance for the many pastoral needs of the region. As of January 19th, CatholicTV, which turned 55 on January 1st, 2010 has 5084 Twitter followers and 3015 Facebook fans. Both the 5000 and 3000 marks were crossed during the Martin Luther King Jr. holiday weekend. CatholicTV started using Twitter and Facebook in 2009 and many employees have submitted “tweets”. The tweets keep fans of CatholicTV up to date on the daily happenings at CatholicTV and can range from simple events like “Father Reed is getting ready for Mass” to “CatholicTV just launched an iPhone app!”. On January 22nd, Carol Bannon, author of “Handshake From Heaven”, a children’s book about the Eucharist will appear on the CatholicTV talk show “This is the Day”. On January 26th, the guest for This is the Day will be Janet Eisner, the President of Emmanuel College, a private Catholic college in Boston, Masschusetts. 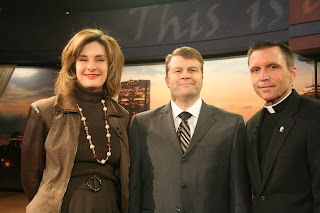 These live episodes of This is the Day will air at 10:30AM (Eastern) at CatholicTV.com and on CatholicTV. These episodes will rebroadcast on the same day at 8PM. 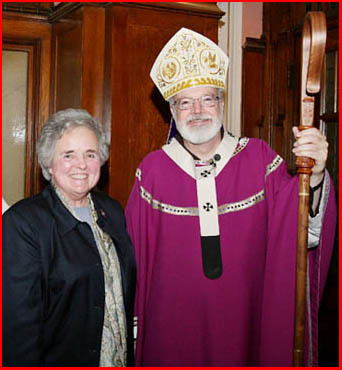 Sister Janet Eisner, SND is President of Emmanuel College in Boston, having served in this position since 1979. She is a Sister of Notre Dame de Namur. Sister Janet Eisner is a graduate of Emmanuel College and holds a Master of Arts degree from Boston College and her Ph.D. in English from the University of Michigan. Last weekend the United States Conference of Catholic Bishops provided us with an update on the current state of health care reform in the Congress of the United States. The bishops report that it is very possible that the bill to be sent to President Obama will be terribly flawed, because 1) it does away with a 33-year restriction on the funding of abortions by the federal government and 2) it provides no conscience protection for those who refuse to participate in an abortion for reasons of conscience. Though the Catholic Church has been an ardent and long-time advocate of health care reform, we will have to oppose such a bill. This is very sad. Several months ago I had occasion to be at supper with a number of fellow Catholics. Not surprisingly, the subject of health care reform came up for discussion. During that conversation, one of my tablemates suggested that we might have to live with federally funded abortion in order to get a health care reform bill passed. The rest of the group concurred. I thought about that for a moment and asked, “Would we be willing to live with racial segregation in order to get a health care bill passed?” The group went mute. Three times I asked my question. It was never answered. Neither did my tablemates abandon their suggestion that we might need to tolerate federally funded abortion to achieve a health care reform bill. From a Catholic perspective, racial segregation and abortion are moral evils. For that matter, so are blasphemy, stealing, calumny, adultery and a host of other actions that violate one’s self and one’s neigh-bor. According to Vatican Council II, activities like these are “infamies” that “poison human society” and “do more harm to those who practice them than those who suffer from the injury. 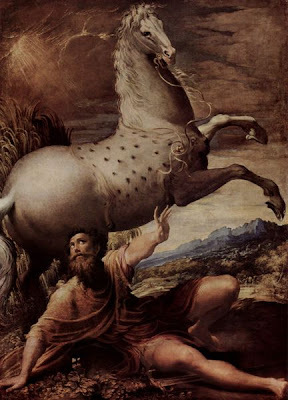 Moreover, they are a supreme dishonor to the Creator” (Gaudium et Spes 27). Is it ever acceptable to promote or tolerate an action that is morally evil, even as a means to a good end? No. Why? Because actions that are evil by their very nature, such as murder or the willful destruction of a person’s good reputation, can never be justified for any reason. They are inherently wrong or, as the moral law says, “intrinsically evil.” You can never call a bad action “good.” Abortion is always wrong. Something interesting has happened in the past year. Last May a Gallup Poll reported that for the first time in recent years a majority of Americans (51%) are now calling themselves “pro-life” on the issue of abortion. This is stunning. When Gallup first asked the question in 1995, only 33% of Americans identi-fied themselves as pro-life. Something is changing. The right to abortion cannot and will not remain the law of the land, because it is inherently wrong. Just as our natural goodness as Americans moved us to overturn the Dred Scott Decision of the Supreme Court, which denied African Americans their human rights by keeping them enslaved, so also will the wrong (not “right”) of legalized abortion be over-turned. It is only a matter of time. But time is of the essence. Tragically, 1.3 million abortions continue to be performed in the United States each year. What can we do? Let me suggest three things. First, now that we pro-lifers are a majority in society, let us be more forceful with those who represent us in government. It is time we insist that we be truly represented at the federal, state and local levels. Speak up. Let those in elected office know you want them to make decisions that are decidedly pro-life. Second, if you have not yet communicated with your Senators and Representative in Congress on the current health care discussion, do that today. You can find the information you need in the flyer that is available at the doors of the church. Third, join us this Thursday evening, January 21, at 7:00 pm for a Holy Hour for Life. Friday marks the 37th anniversary of the dreadful Roe v. Wade decision of the Supreme Court that legalized abortion. Let us pray for an end to this specter over us and our society. One day the Lord will ask each of us to tell him what we did for the least among us. By God’s grace and mutual encouragement may we be able to do just that. Tiziana Dearing, President of Catholic Charities in the Archdiocese of Boston, appeared on This is the Day to give an update on the situation in Haiti. Ms. Dearing spoke of the ways that five million dollar commitment made by Catholic Relief Services would be raised. First people have donated online at CRS.org and over three million dollars has been raised. Secondly, the United States Conference of Catholic Bishops have authorized a special collection in all Catholic parishes for the upcoming weekend. As of today, CRS is increasing its original $5 funding commitment and is planning an emergency response with an expectation of raising $25 million from its generous supporters for its relief effort. Most, but not all, CRS staff already based in Haiti have been accounted for. Those serving fear more building collapses, are sleeping and working outdoors while marshaling relief supplies for delivery to Haiti's earthquake survivors. Tiziana visited Haiti just six weeks ago and fears for the safety of her colleagues and the people of Haiti who extended such warm hospitality. She shared that Boston has the 3rd largest population of Haitians in the US and Catholic Charities in the Archdiocese has set up counseling resources for those mourning loved ones and those who are still trying to locate family and friends in Haiti. Visit http://www.ccab.org/help-haiti.html to learn more. On Friday, January 22nd, CatholicTV will air coverage of the Mass for Life and Youth Rally from the Verizon Center in Washington, D.C. Both the Mass and rally are part of the March For Life events. The Youth Rally televised by CatholicTV will feature Matt Maher, Jesse Manibusan, and Steve Angrisano. The Mass for Life will air at CatholicTV.com and on CatholicTV at 11AM and will be rebroadcast at 8:30PM(all times Eastern). The Youth Rally will air at 4:30PM. The principal celebrant and homilist at the Mass for Life will be Archbishop Donald Wuerl of the Archdiocese of Washington, D.C. with bishops and priests from around the nation concelebrating. Response to attend the Mass has been overwhelming; as a result there are seven other churches in the area which will also host the people who are in D.C. to participate in the March for Life. Also on January 22nd, CatholicTV will air a pro-life documentary called "A People of Life" at 3:30PM. “A People of Life” explores what it means to be pro-life and looks at the pro-life issues: abortion, euthanasia and stem-cell research in both the U.S. and Canada, and focuses on the work done by the Knights of Columbus in these areas. “A People of Life” includes interviews with Supreme Knight, Carl Anderson; March for Life Founder, Nellie Gray; Project Rachel Founder, Vicki Thorn, Congressman Bart Stupak, and President of Life-Athletes, Chris Godfrey, among others. On January 19th, Fr. Frank Pavone will be featured in an interview on the CatholicTV talk show “This is the Day”. This will air at 10:30AM and will be rebroadcast at 8PM. Fr. 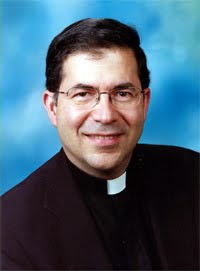 Pavone is the founder and National Director of Priests For Life. 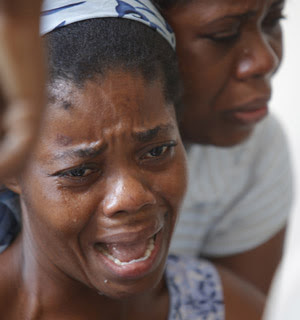 The Church mourns the terrible suffering of the people of Haiti, and parishes across the country are urged to take up a special collection the weekend of January 16-17 for the humanitarian efforts of the U.S. bishops and Catholic Relief Service (CRS) in Haiti, according to a January 13 letter to Catholic bishops of the United States from Cardinal Francis George of Chicago and Archbishop Timothy Dolan of New York. Cardinal George, President of the United States Conference of Catholic Bishops (USCCB), and Archbishop Dolan, chair of CRS board, said the magnitude 7.0 earthquake that ravaged Haiti "destroyed countless homes, churches, seminaries, schools, and other buildings and has left millions without the most basic necessities of life. Our faith compels us to pray for and reach out to our brothers and sisters in their time of suffering." On January 19th, CatholicTV will air an interview of Fr. Frank Pavone. Fr. Pavone is one of the most well-known pro-life activists in the world. 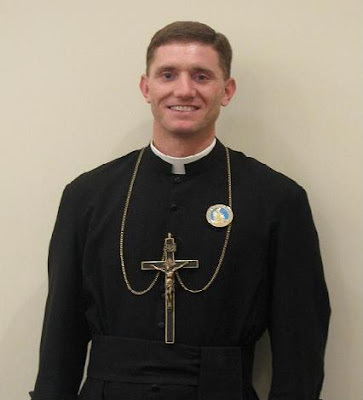 He is the Director of the organization “Priests For Life”. Norma McCorvey, the “Jane Roe” of the Supreme Court’s Roe vs. Wade abortion decision, called Fr. Pavone “the catalyst that brought me into the Catholic Church.”. During his interview with CatholicTV’s Senior Producer Kevin Nelson, Fr. Pavone spoke about the establishment of Priests For Life and how it came into being as well as other topics. Priests for Life has been praised by Pope John Paul II, Mother Teresa, John Cardinal O’Connor and many others. Also on January 19th and in support of the March For Life, CatholicTV will air a special Mass from the Basilica of the Sacred Heart on Notre Dame campus. This Mass will be a special send-off to University of Notre Dame participants in the 36th annual March for Life on January 22, 2010. The Mass will air live on CatholicTV and CatholicTV.com at 9PM on January 19th. The Mass for Life will air on CatholicTV and CatholicTV.com at 11AM and will be rebroadcast at 8:30PM. The Youth Rally will air at 4:30PM and will be rebroadcast at noon on Saturday. Be with all creation; strengthen us in solidarity with those living and working in Haiti. All creation returns to you in mourning and your grace guides our efforts to feed the hungry, shelter the homeless, comfort the grieving and stand for justice. as we continue to work for peace and justice. 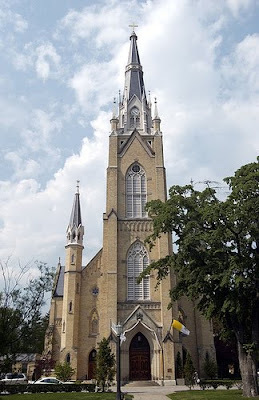 On Tuesday, January 19th , CatholicTV will air a special Mass from the Basilica of the Sacred Heart on Notre Dame campus. This Mass will be a special send-off to University of Notre Dame participants in the 36th annual March for Life on January 22, 2010. 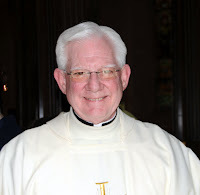 Bishop John D’Arcy (who will by then be Bishop Emeritus) will celebrate and Bishop Kevin C. Rhoades will preside and offer remarks at the conclusion of Mass. Blessings will be given to the participants and to Father Jenkins, CSC, President of the University, who is leading the delegation from the University to participate in the march. Bishop Rhoades will be installed as the Ninth Bishop of Fort Wayne-South Bend, Indiana on Wednesday January 13th. The installation will air on CatholicTV and CatholicTV.com at 9:30PM that same day. The Mass for Life will air on CatholicTV and CatholicTV.com at 11AM and will be rebroadcast at 8:30PM. The Youth Rally will air at 4:30PM and noon on Saturday. This footage was taken on January 7th, 2010 in Somerville, MA. Each day, new videos are added onto the website CatholicTV.com and during New Year’s week, the number of videos at CatholicTV.com reached over 1000. Most of the videos are full-length episodes of Catholic programs produced by CatholicTV. These videos include the Daily Mass, Papal Programming, the live talk show “This is the Day”, the Catholic game show “Wow: The CatholicTV Challenge”, “Catholic Newsbreak”, and many others. CatholicTV is a non-profit corporation whose primary mission is to spread the Gospel of Jesus Christ. Because of this, CatholicTV offers what many networks do not- full-length episodes of its programming free of charge on its website without paid advertising. All videos at CatholicTV.com are viewable in full-screen. The CatholicTV broadcast streams 24 hours per day at CatholicTV.com and features shows starring nationally-known Catholics such as Fr. Benedict Groeschel and Fr. Robert Barron of Word on Fire. 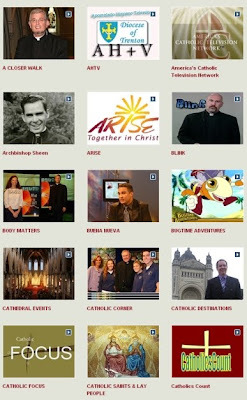 CatholicTV.com also is an expansive online resource for catechesis. 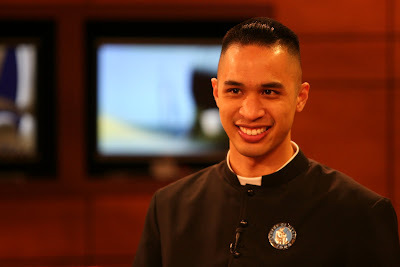 CatholicTV.com has full-length original production videos of teachings on the Discernment of Spirits, a catechetical game show called “Wow: The CatholicTV Challenge”, a show which teaches about Catholic marriage called “The Future Depends on Love”, and much more. In addition to archived shows and the live streaming video, CatholicTV.com offers blogs, links to podcasts, a sign-up for a free monthly magazine, and more. CatholicTV.com even has an online store which sells everything from DVD’s, to rosaries, books, bibles, statues, and much more. Every dollar spent at CatholicTV.com helps to support CatholicTV which receives no funding from the local Archdiocese and relies largely on private donations. During the week of January 10-16th, CatholicTV will celebrate National Vocation Awareness Week with special programming including the appearance of Vocations Directors and promoters on the CatholicTV talk show “This is the Day” and special programming promoting vocations. On January 8th, Father Jack Butler, S.J., Director of Vocations for the New England Province of Jesuits will appear on the live program “This is the Day” at 10:30AM Eastern. On January 12th, Brother Tony Stephens, C.P.M,Vocation Director of the Fathers of Mercy will appear on the live program “This is the Day” at 10:30AM Eastern. On January 15th, Brothers Jewel and Joseph Aytona, C.P.M., co-founders of Family Vocation Ministries, will appear on “This is the Day” also at 10:30AM Eastern. During the week of January 10-16th , a program focusing on the vocation of the priesthood will air during “The Call” programming block. 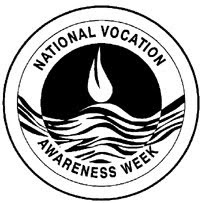 The observance of National Vocation Awareness Week (NVAW) began in 1976 when the Bishops’ Conference designated the 28th Sunday of the year as the beginning of NVAW. In 1997 this celebration was moved to coincide with the Feast of the Baptism of the Lord since his baptism initiated his public ministry. 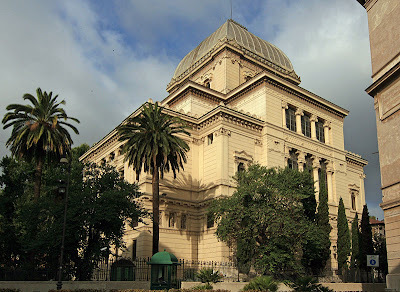 On January 17th, CatholicTV will air coverage of Pope Benedict’s visit to the Synagogue of Rome. CatholicTV will also air the Mass of the Baptism of the Lord from the Sistine Chapel on January 10th. These events will both be viewable at CatholicTV.com and on CatholicTV where available at noon and rebroadcast at 8PM (Eastern). CatholicTV broadcasts across the US on Sky Angel channel 142 and select cable outlets. Information about where to watch CatholicTV in your area is available at http://www.CatholicTV.com/schedule/where-to-watch.aspx. The Pope’s visit of the Synagogue of Rome has generated significant interest from the media and from Jewish and Catholic groups due to the Pope’s recent declaration of Pope Pius XII as Venerable. 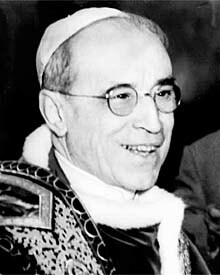 CatholicTV recently aired a documentary on Pope Pius XII called “A Hand of Peace: Pope Pius XII and the Holocaust” which details the papacy of Venerable Pope Pius XII. Additionally, CatholicTV will broadcast “In Spite of Darkness”, a film by Father Christof Wolf S.J., of Loyola Productions Munich, Germany. The film, winner of the Redemptive Storyteller Award 2008 , shares the experience of an interfaith retreat which is held at the notorious Auschwitz-Birkenau concentration camps in Poland, where more than 1 million people, nearly all of them European Jews, were exterminated by the Nazis. The retreat participants include, a Rabbi, an atheist, and a Catholic priest—and how they come face to face not only with their own vulnerabilities and complicity but with new strength, peace, and glimmers of hope. The CatholicTV widget has been added to Denver’s Archdiocesan website, the Rockford, Illinois Diocesan website, and many other sites as word continues to spread about the widget. The CatholicTV widget (called CatholicTVjr) is a video player with over 30 different television programs each with as many as 27 full episodes of Catholic programming. The widget can be added to any website. CatholicTV offers a customizable version of this widget for any website at no charge. CatholicTV is a non-profit corporation. News of the widget immediately intrigued journalists. Stories about CatholicTVjr were written by the Associated Press, the Boston Globe website, and many others. More information including how to add the CatholicTV widget CatholicTVjr to any website can be found at www.CatholicTVjr.com. In the continuing spirit of Vocation Awareness Week, CatholicTV will feature 2 different Vocation Directors on the CatholicTV live talk show “This is the Day”. Fr. Jack Butler (pictured above), Director of Vocations for the New England Province of the Jesuits will appear on January 8th, while Fr. Tony Stephens, Vocation Director of the Fathers of Mercy will appear on January 12th. 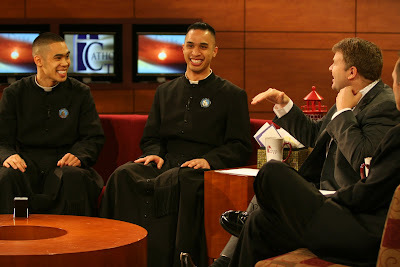 “This is the Day” streams live at CatholicTV.com and is also viewable on CatholicTV where available, to find out what channel in your area please visit: http://www.catholictv.com/schedule/where-to-watch.aspx. The show will air live during the above dates at 10:30AM ET, will rebroadcast at 8PM the same day, and will also be added to the CatholicTV.com archives. House is to promote vocations to the Catholic Church. Every person has a specific call from God, whether it is priestly, religious, married or single life. Manresa hosts vocational discernment weekend visits to help students discover their vocation. College president Fr. William Leahy, SJ, also holds monthly discussion groups for those considering ministerial priesthood. Fr. Jack Butler grew up in Atlanta, Georgia and entered the Society of Jesus in 1991. Fr. Butler is trained in counseling and has worked in prison ministry, hospitals treatment centers, the education apostolate, and formation within the Society. Fr. Tony Stephens, C.P.M. was born in 1976 and is a native of Angelus, Kansas. In 1999, Fr. Tony graduated from Christendom College in Front Royal, Virginia. Discerning a call to religious life and the priesthood, he joined the Fathers of Mercy in 2000. He studied for the priesthood at the Pontifical College Josephinum in Columbus, Ohio, and was ordained a priest in 2005. The Society of Jesus a.k.a. the “Jesuits” is the largest male religious order in the Catholic Church, with over 18,000 members. The founder of the Jesuits was St. Ignatius of Loyola. The Congregation of the Fathers of Mercy was founded in 1808, originally under the title of "the Missionaries of France." It is now an exclusively American community, headquartered in Kentucky. The primary apostolate of the Fathers of Mercy is to conduct parish missions and retreats in an effort to re-evangelize and revitalize the faith of those who hear. 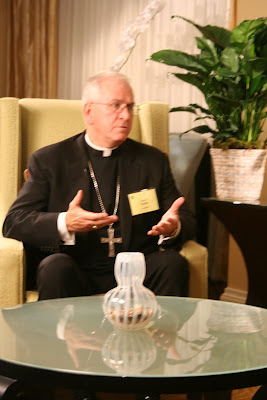 The January episode of Conversations with Archbishop Kurtz of Louisville, Kentucky will air at 10pm on Tuesday January 5, 2010 on CathtolicTV. The show features an ongoing conversation with Archbishop Joseph E. Kurtz about the Archdiocese of Louisville, his involvement with the larger Church (both nationally and globally), and issues of faith in general. Reed Yadon serves as the host and conversation partner with the Archbishop in this monthly 30-minute show. The first episode of 2010 welcomes in the New Year along with an overview of the Archbishop’s recent involvement at the November meeting of the United States Conference of Catholic Bishops(USCCB). Archbishop Kurtz serves as treasurer of the USCCB and is the committee chairman of the Bishops’ Ad Hoc Committee for the Defense of Marriage. In his role as treasurer, Archbishop Kurtz requested a three-percent increase in the diocesan assessment to support the activities of the USCCB. Since 1998 the assessment has remained the same and the increase request was approved by the Bishops. Archbishop Kurtz, shares with viewers that the body of work by the USCCB supports the work of the local church. CatholicTV is privileged to include the Conversations show as part of “From the Chair” programming block. “From the Chair” was established to feature Bishops sharing their ministry and experiences with the wide audience of CatholicTV. The CatholicTV network broadcasts across the US on Sky Angel, in the New England region on Comcast, Verizon, Full Channel, RCN and in Chattanooga(TN) on FiTV. The Conversations series began airing in April of 2009. Topics include Archbishop Kurtz's vocation story, his experiences and impressions since arriving at the Archdiocese nearly two years ago, his national involvement with the Bishops' Conference, and organizations such as Catholic Relief Services. Viewers have the opportunity to send comments and questions that may be incorporated into the conversation by e-mailing conversations@archlou.org. The show airs in the Louisville (KY) area on Channel 19, an interfaith religious cable television ministry, available to subscribers of Insight Cable in the Louisville area. Established in 1987, this unique channel was made possible through a generous grant from the Mary and Barry Bingham Sr. fund. Channel 19 is operated by the unique partnership of the Catholic Archdiocese of Louisville, The Baptist Consortium and the Kentuckiana Interfaith Community. From the Chair airs on CatholicTV and CatholicTV.com on Tuesdays at 10:00 PM, Saturdays at 3:30 PM and Sundays at 12:30PM.